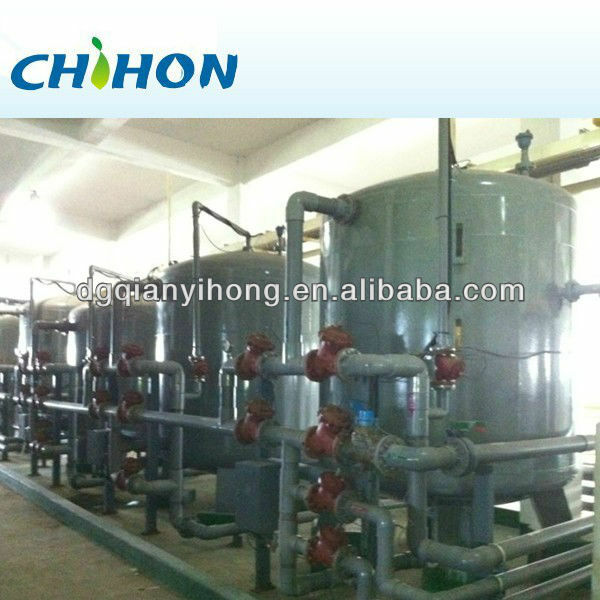 Main equipment included that pre-treatment ,RO system,Washing system etc. 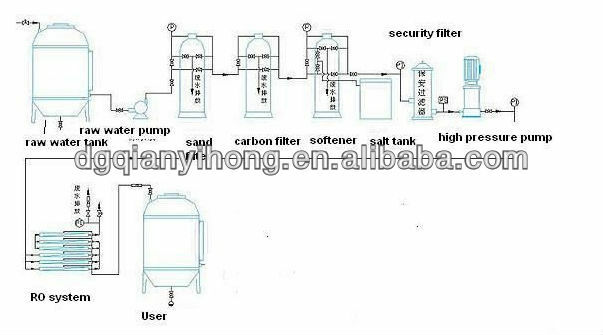 (A).Pre-treatment is included sand filter ,carbon filter ,softener (option) and security filter . 1.Sand filter: A laminated filter is provided to prevent sand, flocculent and colloid entering into membrane element. 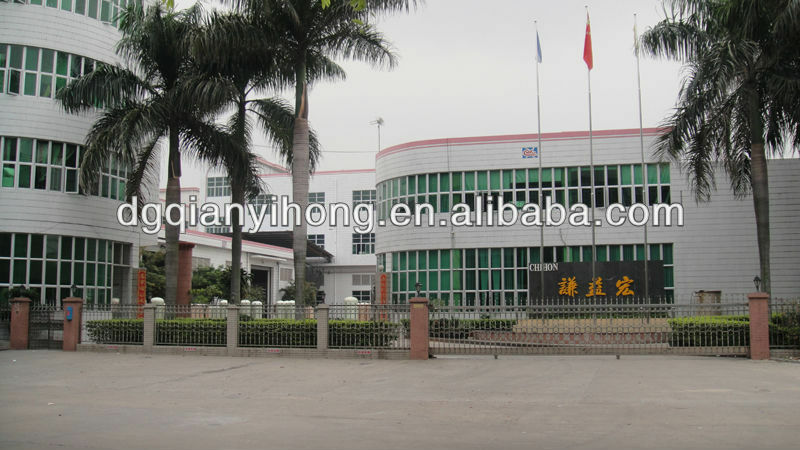 Its basic filter element is formed by quartzes sand and anthracite. 2.Active carbon filter: This is provided to absorb organic materials, residual chlorine and other injurants, thus it can reduce the effluent COD and keep SDI under and CL2 under 0.1 mg. L.
3.Softening system: This system is to prevent begrime the membrane by ion of Ca and Mg.
4.Precision filter (micro filter) ,PP filter of 5um is installed to prevent fine particulate entering the high lift pump and RO membrane. (B).RO system is included that booster pump,membrane and membrane housing, electronic Control System .It cut out colloids, bacteria, virus and other impurities, and keep output water conductivity below 5um/cm. (C).Pure water tank: When the pure water tank is full, the RO machine will automatically come to stop, when the pure water tank is empty, the RO system will automatically run to produce the pure water.